I don’t care how good you are, how solid your marketing is, how great your photography rocks…if you can’t SELL, if the till ain’t ringing up nice sums at the end of the day…you ain’t got a business. You got a hobby. DO you want to sell? Better yet, do you want to RAMP UP your selling skills? Selling is NOT something you’re born with. It’s something you learn, get better at and master. If there’s one skill you NEED in order to succeed in business, it’s selling. And I know few who have their selling game ramped up to the highest level like Maria does. I use this exact same strategy that Maria has created. Make a low cost offer(not rock bottom, but low-ish) and make it irresistible. Then, sell. It’s that simple. “I see posts about not making money OR even worse, people saying that “these photographers are charging nothing how can they survive?? ?” PLEASE understand that “low entry cost” DOES NOT MEAN – low cost at all! I had another photographer message me and say “how dare you offer a session and free 5×7 for $49!!!!! !” and I said, WHY?????? 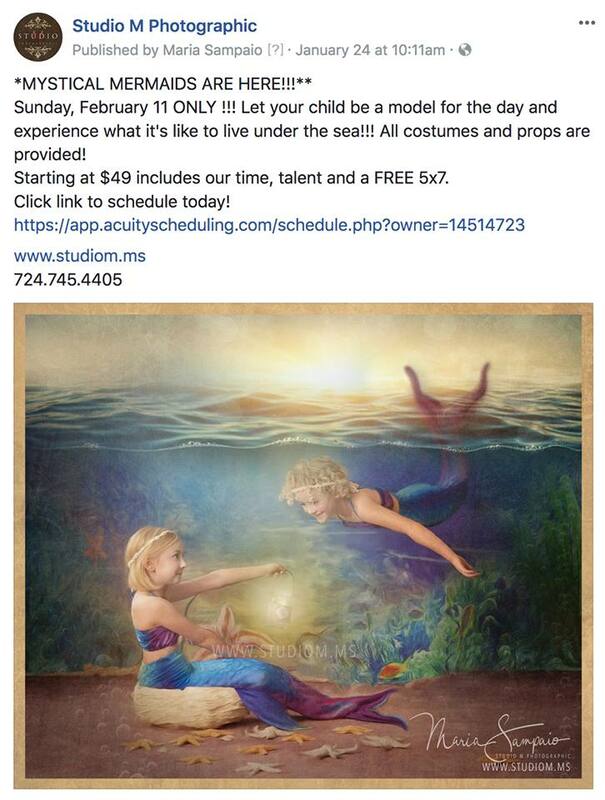 LISTEN: I ran a mermaid and fairy event on the same day. I opened 10 appts. It was an easy fun day. EASY. Beautiful little girls and fun. I set up sales appts for all 10 and finished the last one just now. I set a goal of a $1200 sales average on all 10, knowing there would be a low and a high and a bunch in between. I have GREAT sales skills. . . so I did my thing. It’s about HOW YOU ADVERTISE< HOW YOU PHOTOGRAPH< WHAT YOU SHOW< HOW YOU TALK, HOW YOU SELL AND HOW YOU TREAT YOUR CLIENTS. THE END RESULT? Better than I expected. Sales Average on all 10 appts? 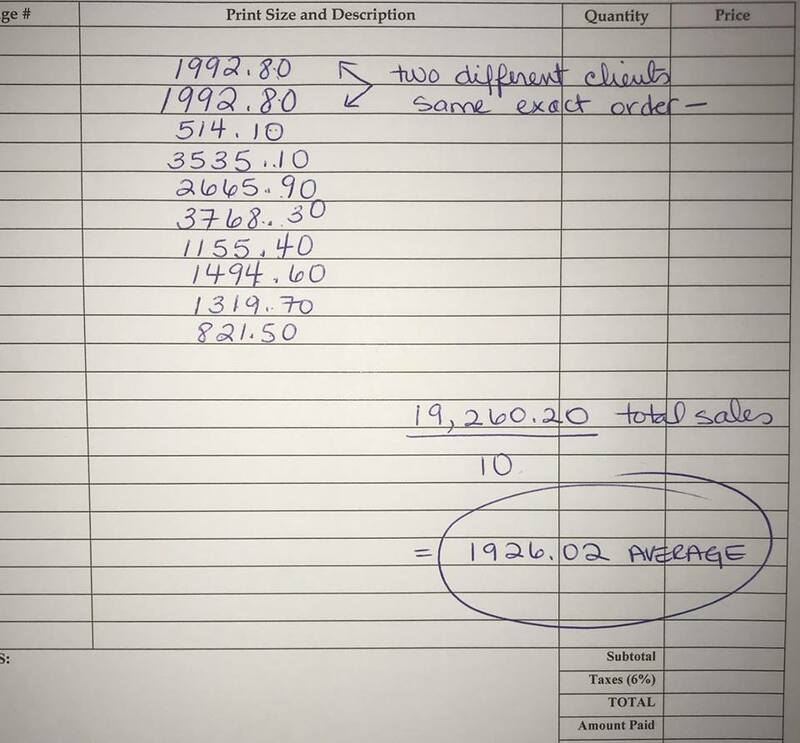 $1926.02 – and by the way do you know how many images I retouch before they see them? ZERO. 🙂 AND THERE IS NO MINIMUM ORDER. They can choose to walk away with a 5×7 and NO they do not see a pricelist before hand either. I decided I am going to offer a class at my studio….. Show up and you will learn EXACTLY how to sell out an event at low cost and get results like this. Everything from SET UP of the set, HOW to shoot it, HOW to show it, HOW to sell it, how to retouch it FAST and HOW TO MAKE MONEY. Interested? PM me your info and email and I will send out information. You will get your money back from this class 10 fold in one event. My set ups are easy and cheap. I do mermaids, fairies and more. I’ll let the numbers speak for themselves. Read it and weep…better yet, email Maria and go see her. She’s offering you a chance of a lifetime and the costs, the time spent are opportunities that will pay back many, many times over. Wow, sounds like Maria has a system we all should pay attention to! Thanks rob for the awesome post! Maria, I’ve seen your webinars on the NOBS forums and I remember way back when the vision of a bowling alley becoming your studio became a reality. You are a force in the photographer’s world. Any photographer would be nuts not to attend your upcoming class. What an amazing and generous offer! I have so many of the mentioned components in my process, but something still seems to be “missing”…would love more info on a possible webinar as I’m unable to make a personal visit.